The Sims franchise has been around for 19 whole years! Can you believe that these games are almost leaving their teenage years behind?! It’s honestly crazy to think about. 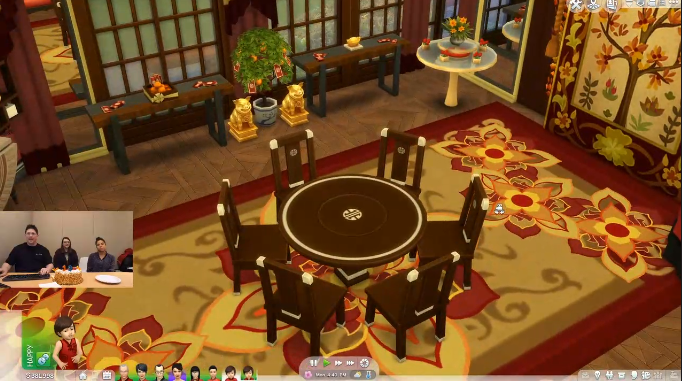 The SimGurus held a Maxis Monthly livestream over on Twitch, where they celebrated with the community by doing a small giveaway for subbed viewers. 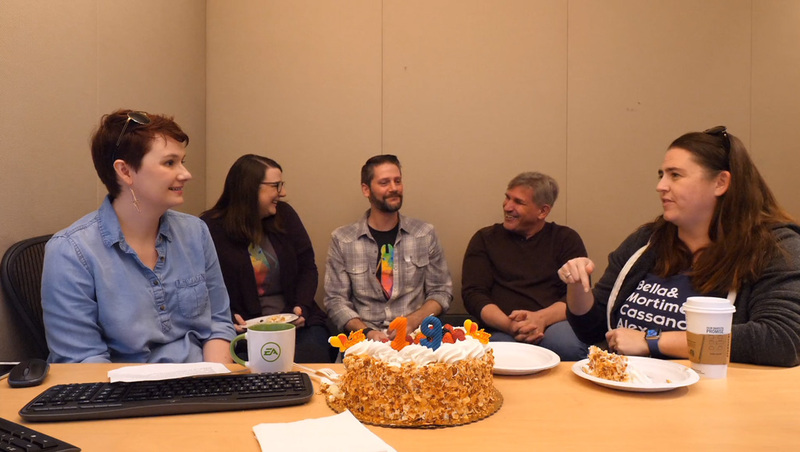 Even James from TheSimSupply joined in on the celebration as a special guest, even if it was just for 7 minutes of screentime. As he flew over all the way from Australia I wonder what he’ll be doing there off-camera… I guess we’ll have to wait and see! 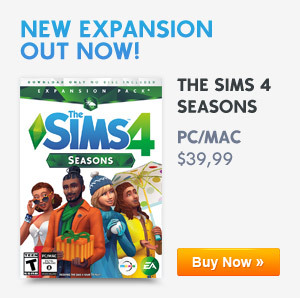 Tomorrow a new patch will be launched for The Sims 4 on PC. 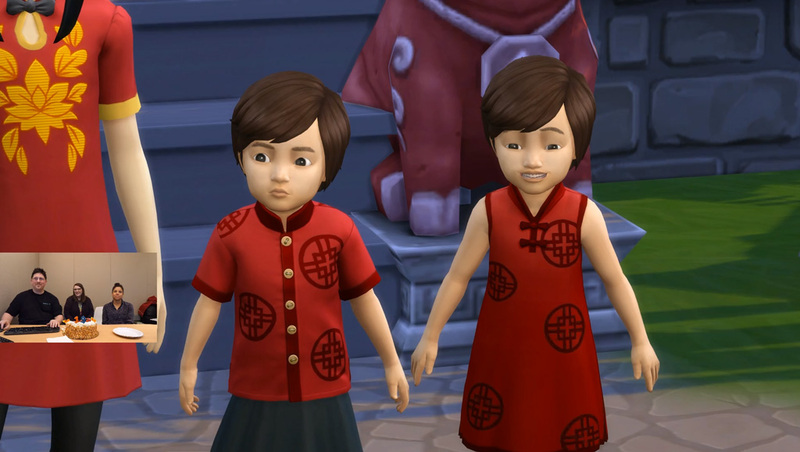 As the Lunar New Year is also during this time of the year, the items are inspired by Asian culture. There are statues representing the Year of the Pig and other symbolic items typical for the New Year celebration. The brand new content includes brand new Build and Buy mode objects, brand new Create A Sim items, brand new Hairstyles, and brand new Recipes! The free Create a Sim items are amazingly well made. There are new dresses, shirts and even a unisex haircut for toddlers. Talking about toddlers, they will be able to play with a new panda toy, and it is super cute, adorable and any other word you can think of to describe cute little objects. The update will also fix a lot of problems and glitches that many Simmers have been facing. The patch is set to release at 10AM PST, right in time for the Lunar New Year! Want to check out the items before then? 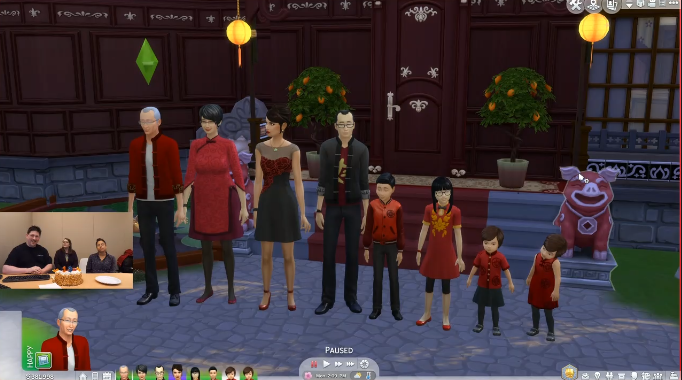 You can rewatch the livestream over on the official The Sims Twitch channel! Check out some of the screenshots made during the livestream down below! So what do you think of the new free items? And for how long have you been playing The Sims? Let us know in the comment section down below! We hope you are excited about this brand new content as we are! 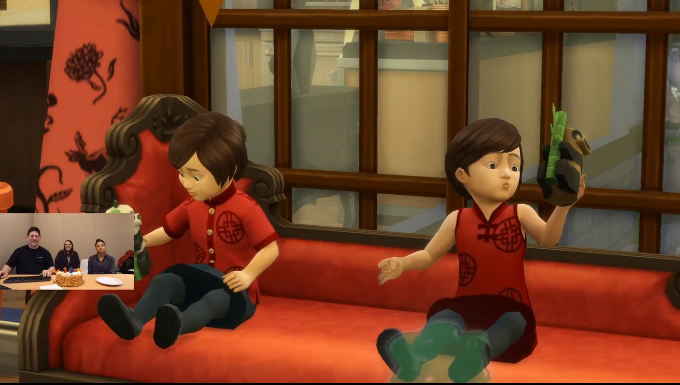 Previous ArticleThe Sims 4: Brand New Free Content To Be Released Tomorrow!Next ArticleThe Sims Mobile: Lunar New Year Quest Is Now Live!